Thanks, Iza! I appreciate you stopping in. 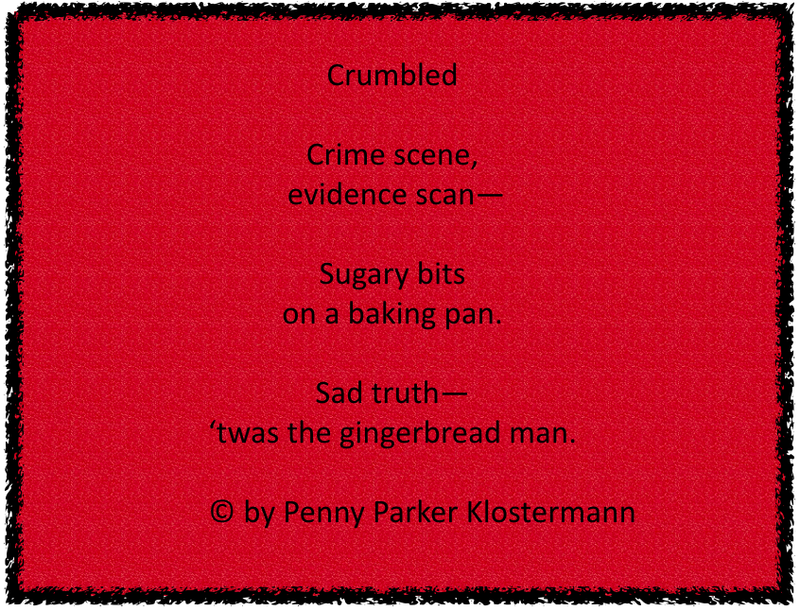 What I want to know is, have any gingermen been harmed in the process? Brilliant holiday fare here! Thanks for coming by, Julie! It is just like a rhyming, illustrated episode of CSI! 😀 So clever, as always. Penny, I adore your nephew’s art. He really is talented. Love the way you two work together. This is just an awesome idea. You are a genius with rhyme. Maybe someday I’ll be close to you. But I could never pass you. Your talent for rhyme is just amazing. Thanks for coming by to visit. It makes me smile when I see you have visited my blog. Robyn, you are way too kind! Thanks for your sweet comment for Landon and me! Your Christmas story made me laugh! Very funny! What are you going to do with it, Pam? Details, please 🙂 And I want to know how it goes! Thanks for coming by! Fantastic, Penny! What an artist your nephew is. 😉 And I love your writing…you are so talented!!!! This is a wonderful series. Vivian, you are sooo sweet! Thank you. And of course I agree about my nephew! Thanks, Diane. I’m glad you’re enjoyong the series. I’ve thought about using their series for school visits. 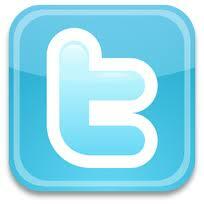 Thanks for the great thoughts for a teacher’s guide! I didn’t do it!! I might have if I’d been there. But I wasn’t. Y’all just get better and better. Thanks, Robin! I love Landon’s illustration! He’s sooooo creative! I think gingerbread men are a really popular unit for the little ones! So much fun! Thanks for coming by, Tina. The series has been a ton of fun. We appreciate you joining us! Nice, short poem, Penny, and Landon’s chalk-outline artwork is PERFECT for it! Isn’t it perfect??? I never have to worry about the illustration because Landon always nails it! Fantastic job–the both of you!! And loved the realisticness of it with the crumbs added to the artwork. Brilliant collaboration! Adorable! Who said “brevity is the soul of wit”? Landon’s simple b&w picture is a perfect complement to the poem. Go Penny and Landon! But make it quick. Ha! Thanks so much, Carole! This episode was so fun to do! Best laugh of the day – poem and picture complement each other perfectly! Thanks, Penny – and please tell Landon thanks, too! What a hoot! Love Landon’s artwork. Tell him he’s done such a great job of illustrating your poems. Enjoyed the series. And, you made him feel special! Thanks, Pat! I think Landon tries to read the comments. Yes, he has done a phenomenal job! Hahahaha! Love this. The picture is perfect! The poem is as well. Thanks for sharing. So fun, Penny! You are quite the duo. Ha ha! Another great addition to the series. Very clever great aunt and great nephew! Oops! My reply to Renee is under your comment, Stacy. Thanks for keeping up with our series!! Yes! That’s exactly how he did it…chalk board and a few cookie bits! I’m impressed at the number of crumbs escaped “the eating”. I always lap up every single bit! Yay, another foodie episode! You two are the best :). Thanks, Jama! Food is definitely an inspiration. Especially with all the goodies during this season. Speaking of food…I need to get over to your place! I have several posts in my Inbox and haven’t had time to come over and savor! Maybe this weekend 🙂 I do love your blog! Hilarious and adorable. The art would make a fun craft for other kids, too! I’m inspired. Glad you’re inspired! Yes, I think chalk is such a fun thing for kids. They would have a blast decorating the poor little gingerbread man. 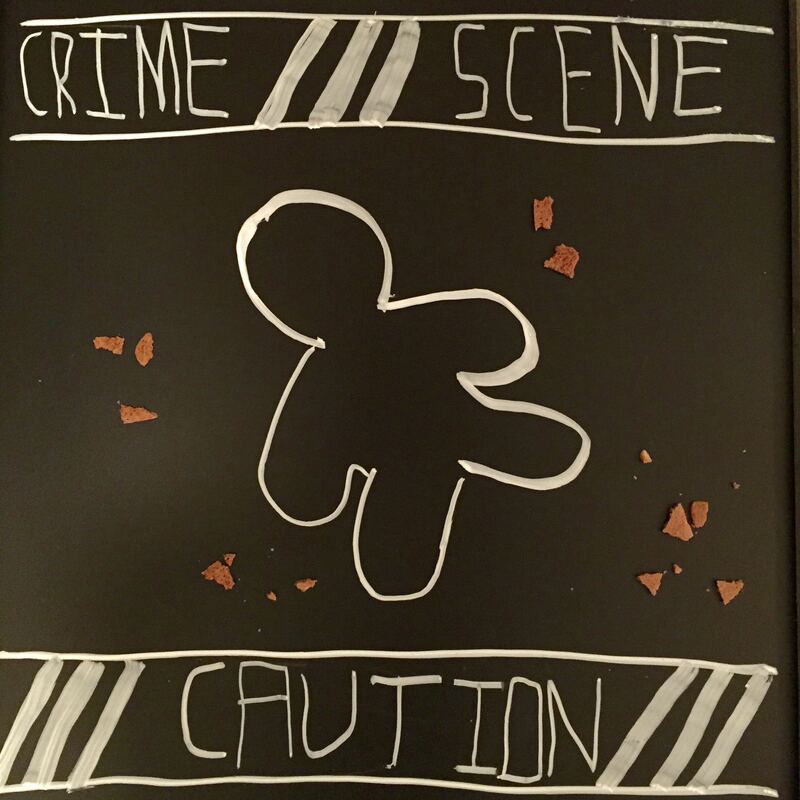 CSI: Gingerbread!!! That’s great, Genevieve. Thanks for stopping in. HAHA! Penny, you never fail to amuse me with your clever verses. And I love Landon’s art. How did he do that one — is it a photo of a chalkboard with real cookie bits strewn around? It looks great!